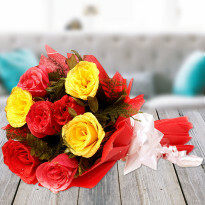 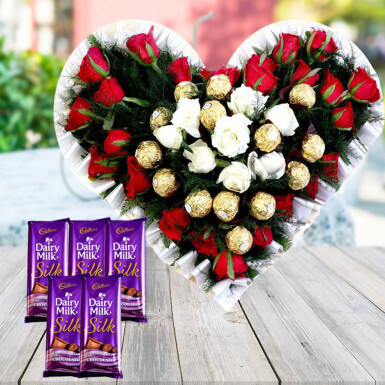 Send a token of love to make her feel extra special with this heart-melting gift of 25 red roses, 8 white roses with 15 Ferrero Rocher in heart shape and 5 dairy milk silk chocolates. 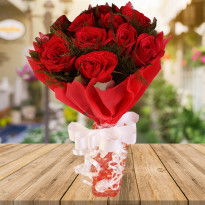 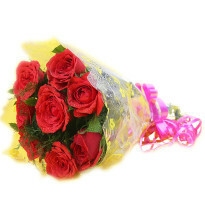 It is an ideal gift hamper for a birthday, anniversary, rose day, propose day, Valentine day and many more occasions. 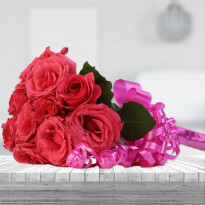 Want to shower your love on your special one? 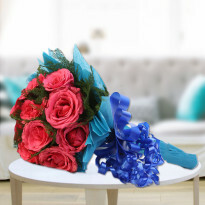 Go for this combo as the combo is an epitome of love and care. 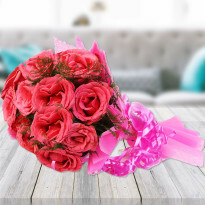 Go ahead and place your order now!